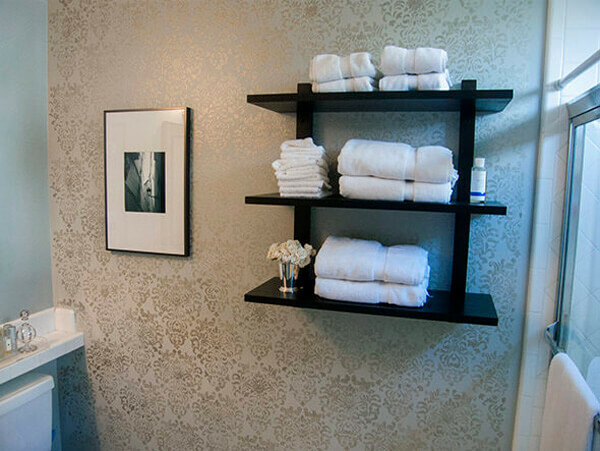 Not many of us can afford the luxury of a large bathroom. 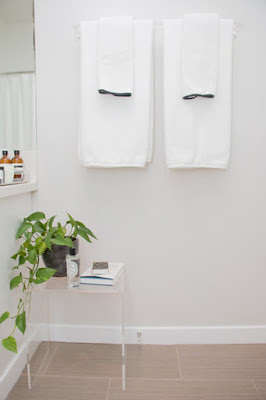 While surfing the internet I found some imaginative and unique ways to add storage and the feeling of space to your small bathroom. 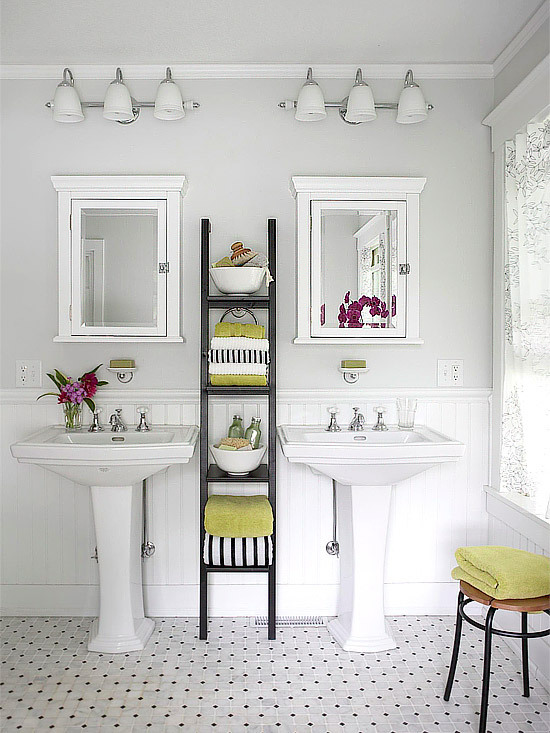 Below see the stylish ladderlook for narrow close to the wall storage. 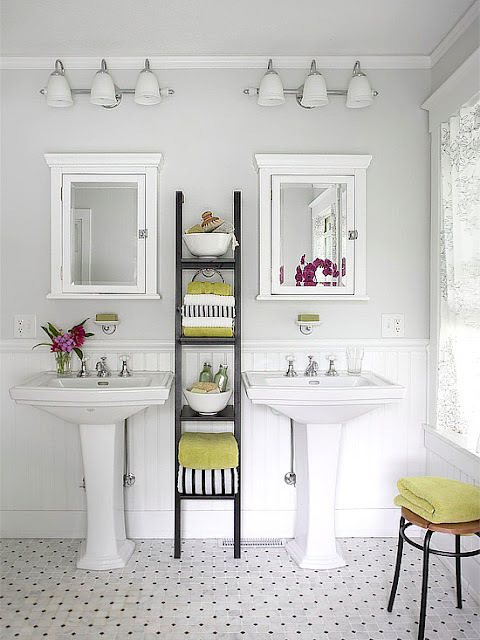 Or Repaint a vintage ladder to match your color scheme. 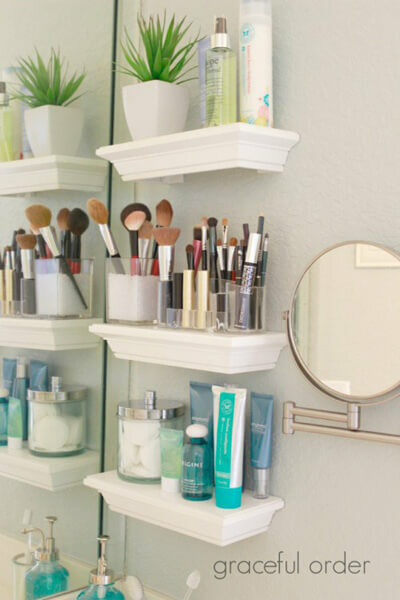 Hang metal planters on the bottom rung for hair styling tools. 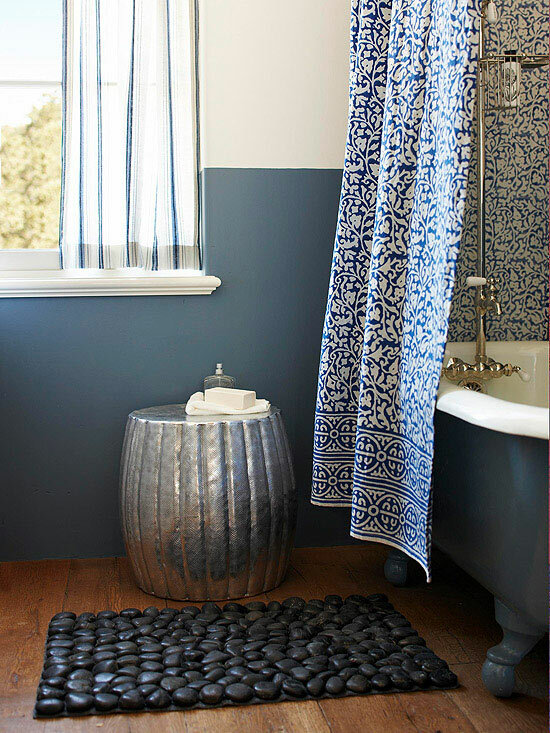 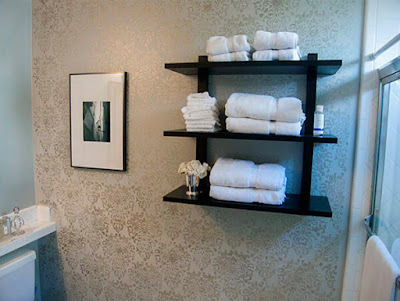 To add interest to an undecorated plain bathroom add a row of contrasting tile as a backsplash. 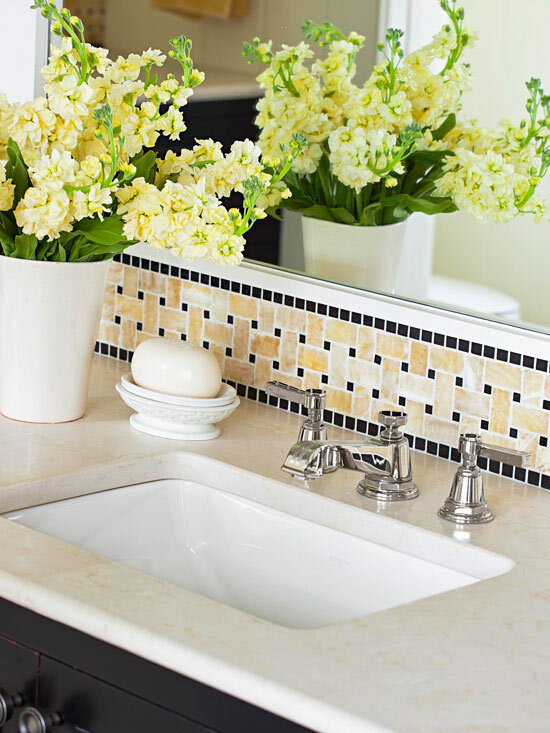 It's also easy on the pocketbook as it takes only a small amount of tile. 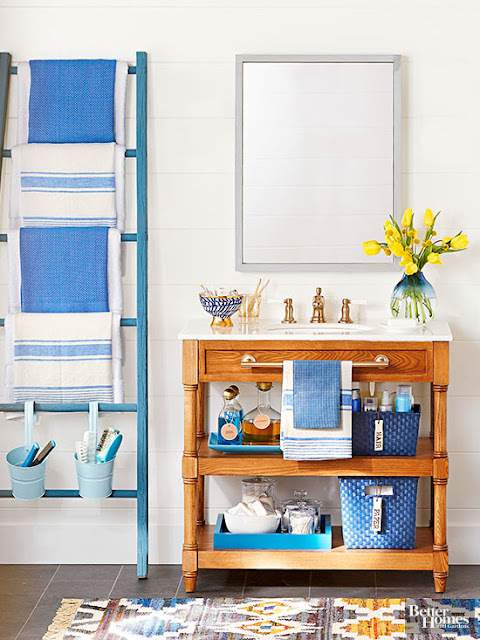 Small shelves can help keep clutter off the counter top. 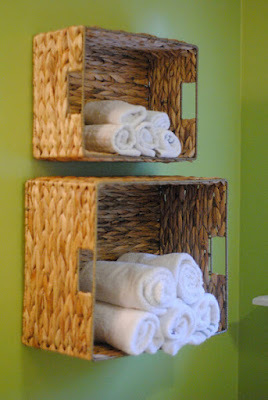 Below find images of simple inexpensive decor. 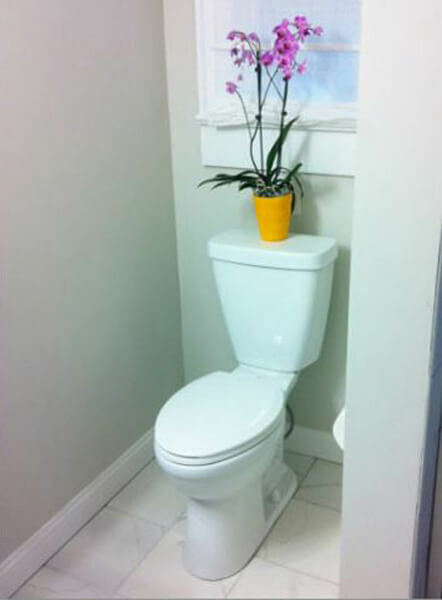 or for the small bathroom.